As momentum continues to grow against the U.S.’s colossal imprisonment system, the need for strategic targets is crucial, yet we are seeing an overbearing focus on private prisons. We are in a moment when reforms that appear to be “progressive” can actually entrench the violence of policing, imprisonment, and surveillance even further. 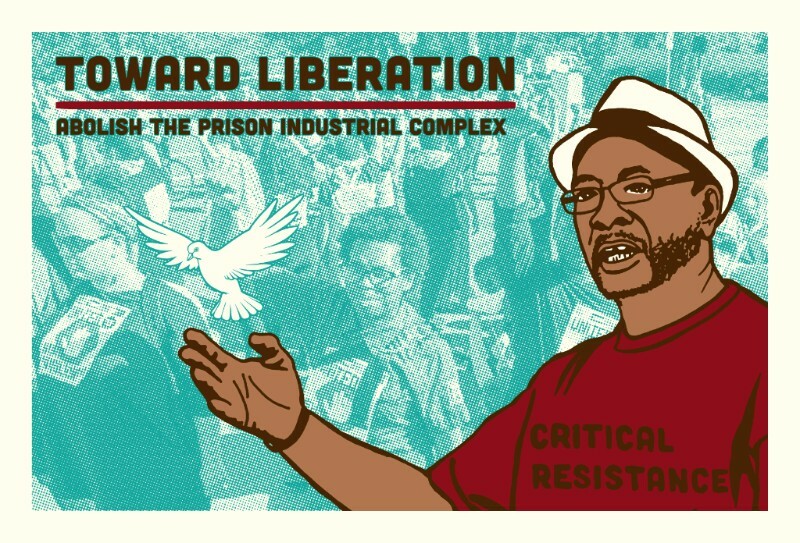 But it is also in these moments when we can have strong and decisive impacts, when we must push ourselves and our movements to understand how we are to most effectively deal the strongest blows against the prison industrial complex (PIC) in ways that shrink it. 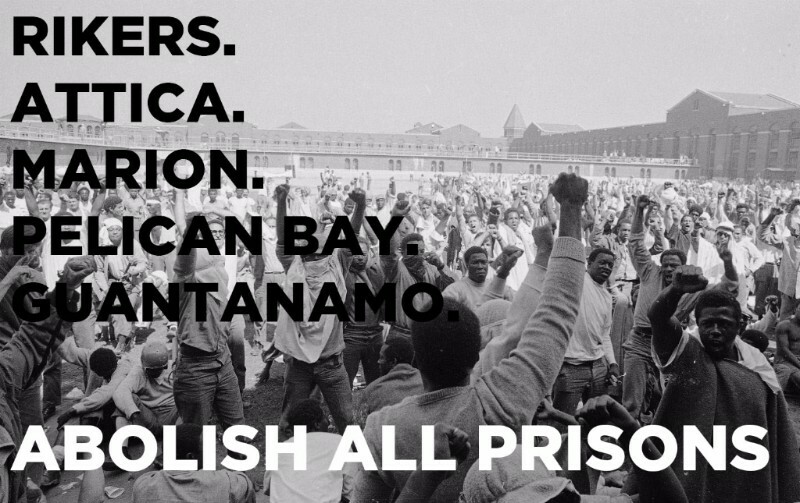 We certainly don’t want to give it room to maneuver, and allow the power maintained by the state to cage Black, Brown, and poor communities to remain not only unchallenged, but legitimate and stronger – but the increasing focus on private prisons will undoubtedly allow it to do just that. Across the country, private prison divestment campaigns are metastasizing as a way to combat “mass incarceration.” However, despite the claims of some behind these campaigns, the profit motive of private prison companies is nowhere near being a significant drive of the imprisonment system. And as such, nor are private prison companies a “strategic target” in the fight against the prison industrial complex.Currently, privately run prisons account for only about 8% of state prison populations and only about 5% of the overall 2.2 million people in both prisons and jails – a small fraction indeed. Despite this, we are told to believe that focusing on and attacking this small percentage will somehow yield a larger impact on the imprisonment system as a whole. The numbers show differently, with there being no correlation between the use of private prisons and their impact on the overall imprisoned population; for instance, the number of prisoners held in private prisons dropped between 2012-2013, yet there was an increase in the overall imprisoned population. Similarly, in certain parts of the country, we are seeing a shift in rhetoric and action towards an increased reliance on jails and other restrictions to people’s freedom, such as GPS monitoring. A focus on private prisons places the blame on profit, misleads us away from the root of the problem, and brings additional threat of the PIC changing shape but not reducing its harm. Another common argument is that because of their financial stake in imprisoning people, private prison companies’ significant role in the PIC lies in their political power. This is not only misleading, but overlooks the overwhelmingly larger role that “public” entities like police and prison guards unions play in politics. Take California as an example: the GEO Group and Corrections Corporation of America (CCA), the two largest private prison companies in the country, spent just $40,900 combined on Brown’s 2010 campaign for governor; the California Correctional Peace Officers Association (CCPOA, the state’s prison guards union) spent $2 million. The guards union’s additional $5 million spent on all other political campaigns that year also dwarfs CCA’s $290,000. The CCPOA has continued to be a powerhouse in California politics – playing a major role in ushering in the state’s Three Strikes Law, for instance – but has kept a lower profile than the private companies have attracted. Clinton’s defense of imprisonment as a “core responsibility” of the government came after some groups pressured her and demanded that she cut ties with private prison companies. Victory? Not at all. This is but one example of the dangers that Ruthie Gilmore, among others, has cautioned anti-prison activists of in her powerful piece “The Worrying State of the Anti-Prison Movement.” Again, we want to bring down the PIC, not allow it to dance around our efforts to challenge it. Let’s fight imprisonment – not because in few cases corporations are making a buck– but because we want to end the violence of cages. Let’s be strategic. Let’s win, not for the sake of claiming a victory, but to get people free.